2. A new video on Vimeo 2017 ” The Bug Man” concerning my passion for my art with over 80,000 views. 3. 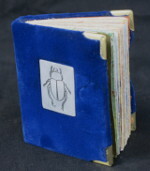 A miniature book called “Beetle Dream”, will go on exhibit as part of an art project by Karen Klein. It will be part of a collection of 30 books about insect dreams. 4. My Bug Art is coming out in new book the end of 2017. “Bugs in Contemporary Art Inspired by Insects ” by E. Ashley Rooney. In the somewhat obscure world of animal art — where chimps, horses and elephants learn to grip paint-laden brushes and thrash randomly at a canvas to create abstract paintings — Steven Kutcher’s “bug art” stands out. 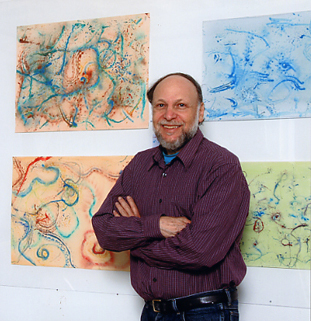 Commanding a team of animal artists far too small to hold any paintbrush, Kutcher uses insects as living, moving paintbrushes to fashion his art.